Black Dragon is a security guard service provider that is proven for its security guard services in Delhi NCR. With several agencies claiming to supply excellent security solutions, not all can successfully offer safety measures of international standards to keep your possessions and your dear ones safe. It is what sets us a class apart as a security guard company in Delhi as guards trained by our team are admired for their bravery, dedication and the finest security service you call for. What Makes Our Security Guards So Unique? Young people with appropriate medical and physical fitness are provided necessary training to prepare them for securing your premises and industries from threat under any situation. Black Dragon guards are extremely skilled and experienced in managing unstable and concealed locations. They are trained to sincerely take and follow instructions just the way army does. Your security is of utmost importance and our guards are trained to combat any attempt to jeopardize your security. Different sectors like residential, commercial, health, industrial, institutional, hospitality etc. have distinct requirements as far as security is concerned. We have specialized training programs for people to prepare them to work as security guards in residential or corporate spaces and to man commercial premises like industries. As a result, they have expertise in different sectors and can be posted in a particular sector depending on your choice and requirement. Before we appoint any person under our security guard services in Delhi NCR, we ensure that the person has valid identification and verification proofs. In addition to verifying the identity of the person, we provide security license to certify his capability in doing the job. Our guards are courteous, honest and follow ethical norms while performing their duty. Black Dragon guards are prepared to defend your premises from trespassers and handle worst situations to serve their best in crucial times. We have been appreciated as a security guard service provider in Delhi/NCR owing to the first-rate security offered by our personnel. In addition, our industrial security guards have earned recognition in protecting the industrial plants, factories, and hazardous locations. Needless to say, the guards have been specially trained to work in such atmosphere. The institutional guards are expert in safeguarding financial institutions, banks, ATMs, colleges and so on. The residential guards have expertise in monitoring housing complexes and foiling burglary and theft attempts. The security guards appointed by Black Dragon are absolutely dedicated and loyal to their duty because they love what they do – protect innocent lives. We believe in providing superior service to our clients and thus, we have stringent rules regarding misconduct of the security guards. If you are looking for a security service agency, Black Dragon can answer all your security concerns. 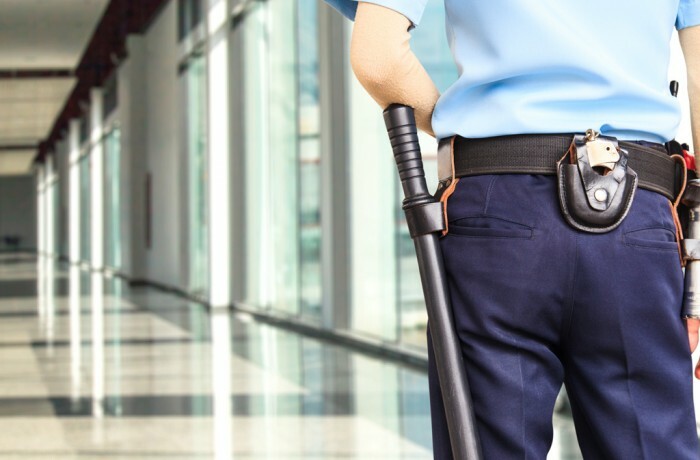 We promise to safeguard your property and family by providing the strongest and finest batch of well-trained security guards who will be at your service 24X7.